We are taking bookings for the 2018/2019 season now. We will be working with a tighter schedule again this year so please have several dates available. I AM UNABLE TO ANSWER THE PHONE AT TIMES......PLEASE EMAIL IF AT ALL POSSIBLE. or leave your detailed message. (then) 50% of ticket sales over $3000.00. If ticket sales were less then $1000.00 then you would pay $600.00. Cash Outlay - – The only money you pay up front is a non-refundable $50 booking fee which includes our $25,000 excess accident medical insurance policy for participants. Sponsor is required to sell advance tickets which we furnish. $6 Advance and $8 Gate. Ticket prices may be increased but no less than stated. WELCOME to our world of donkeys. Do you have a community or school organization that is looking for a sure way to raise money with little risk involved? If so, let us suggest that you consider a Donkey Basketball game. 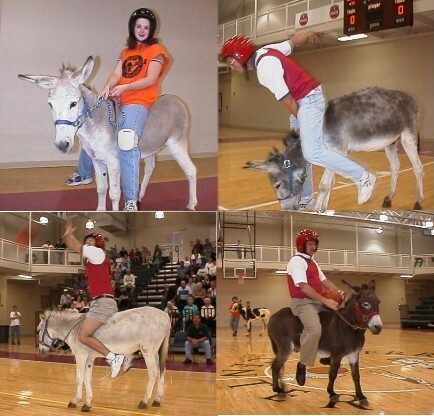 Donkey Ballgames are the quickest, easiest and surest way to make money for your school group, club or organization. No long hours of preparation are required. Donkey Basketball season is September - May. 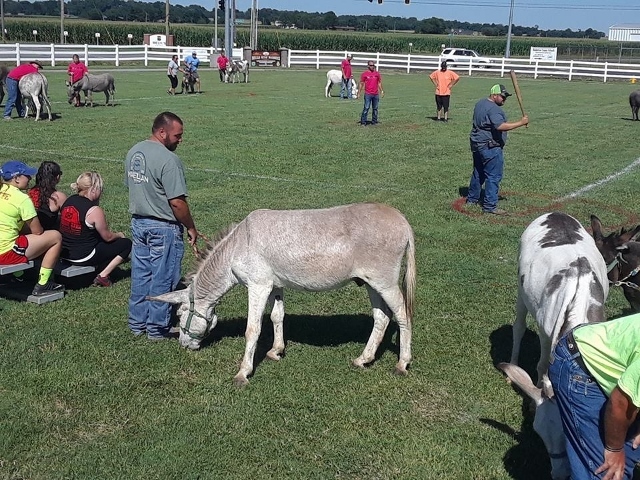 Donkey Softball season is May - September. 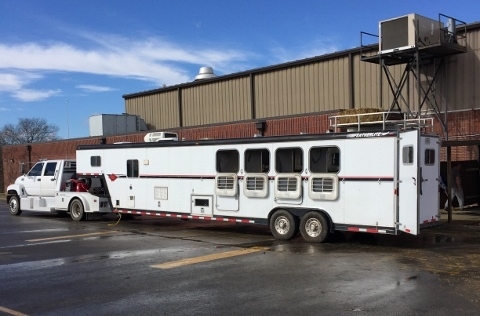 Flat Rates start at $1500 and go up depending on schedule. Call or email for a flat rate quote. 10. Funny events throughout the ballgame and equipment needed for those events. 4. One bag of horse feed & one bale of hay. then Circle (A) Donkeys will work with you on a flat rate basis. Guaranteed Flat Rates start at $1500 and go up depending on schedule. NORTHERN FLORIDA - Please call or email for available times. This page was visited ..... .....times. Please visit again!